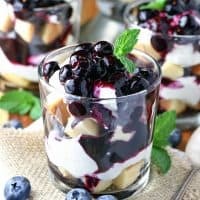 BLUEBERRY CHEESECAKE PARFAITS — This easy but elegant dessert features a homemade blueberry sauce layered with store bought pound cake and a sweet cream cheese filling. Perfect for any occasion! If you’re looking for a really delicious, super easy to put together dessert that is also a little bit fancy, look no further than these Blueberry Cheesecake Parfaits. 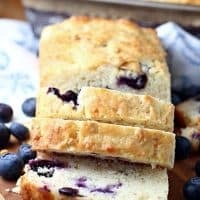 This easy dessert starts with store bought pound cake. You could also use angel food cake if you prefer, and yes, you could certainly make the cake from scratch if you want to go all out! 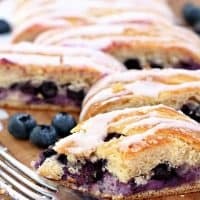 Next comes a simple, made-from-scratch blueberry sauce–really, it takes about 5 minutes to make! And don’t forget the sweet cheesecake layer, which also takes about 5 minutes to make. I told you this was easy! 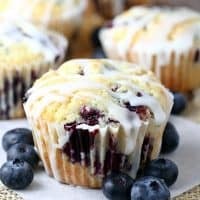 You simply layer the cake, cheesecake filling and berry sauce in pretty glass cups or dessert jars (mini Mason jars would work great too) and you have an easy but elegant dessert that’s sure to get rave reviews. I used my small juice glasses to assemble these parfaits–nothing special, just what I already had sitting in my cupboard. I like to finish my parfaits with a sprig of fresh mint. It makes them extra fancy looking, don’t you think? Obviously, there are tons of possibilities for using different fruit in this recipe. Personally, I think raspberries or cherries would be pretty amazing. And a strawberry shortcake version of this parfait would also be delicious! This recipe is pretty fool proof, so feel free to experiment. 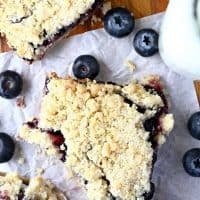 And although the recipe calls for frozen blueberries (since they are always available), fresh fruit will work just as well. These parfaits would be perfect for Mother’s Day, and they’re simple enough that kids can help put them together. 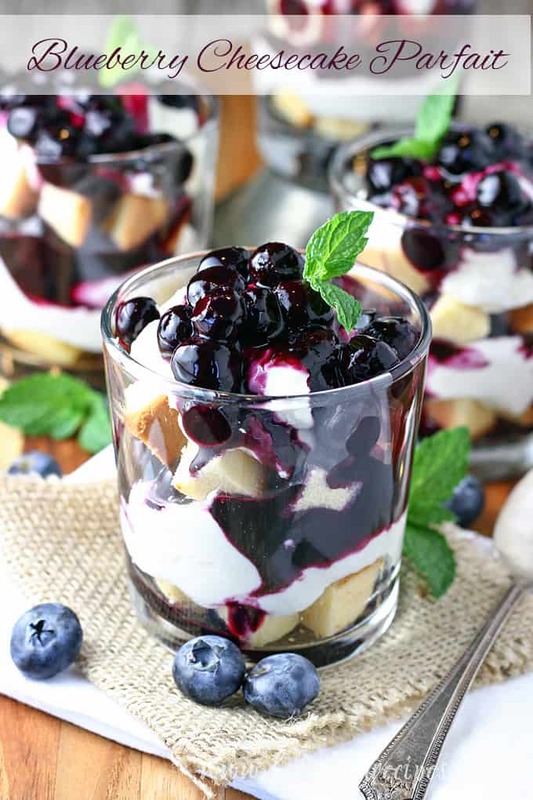 But don’t wait for a special occasion to try these Blueberry Cheesecake Parfaits. I think you’re going to love them! 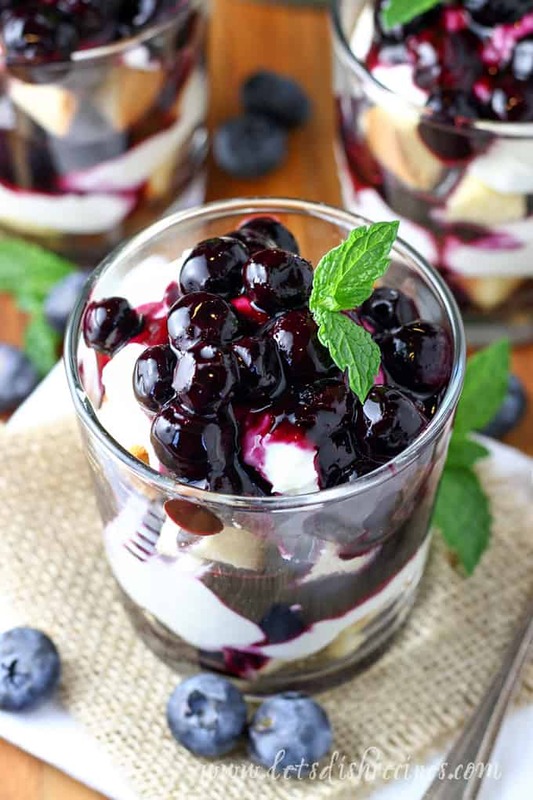 Be sure to save this recipe for Blueberry Cheesecake Parfaits to your favorite Pinterest board for later. 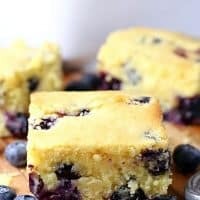 This easy but elegant dessert features a homemade blueberry sauce layered with store bought pound cake and a sweet cream cheese filling. 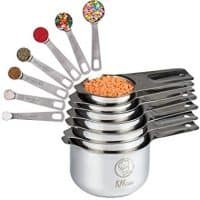 Perfect for any occasion! In a medium saucepan, combine the sugar and cornstarch. Stir in water and lemon juice. Add frozen blueberries and stir to combine. 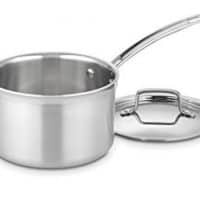 Bring to a boil over medium-high heat, stirring frequently. Reduce to a simmer and cook for an additional 3-5 minutes, stirring often, until mixture is thickened. Cool completely. 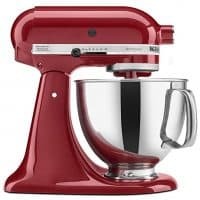 In a medium bowl, beat heavy cream with an electric mixer until stiff peaks form. In a separate bowl, beat cream cheese, vanilla and sugar until smooth and fluffy. Fold in whipped cream. Cut the pound cake into small squares. 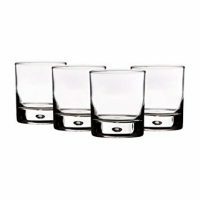 Divide half of the cake between 6-8 small cups or parfait glasses. Pipe or spoon half of the cheesecake filling over the cake. 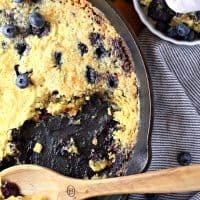 Top with a few spoonfuls of blueberry sauce. Repeat once, ending with blueberry sauce. Garnish with fresh mint before serving, if desired.